What email am I logged in with? 1. 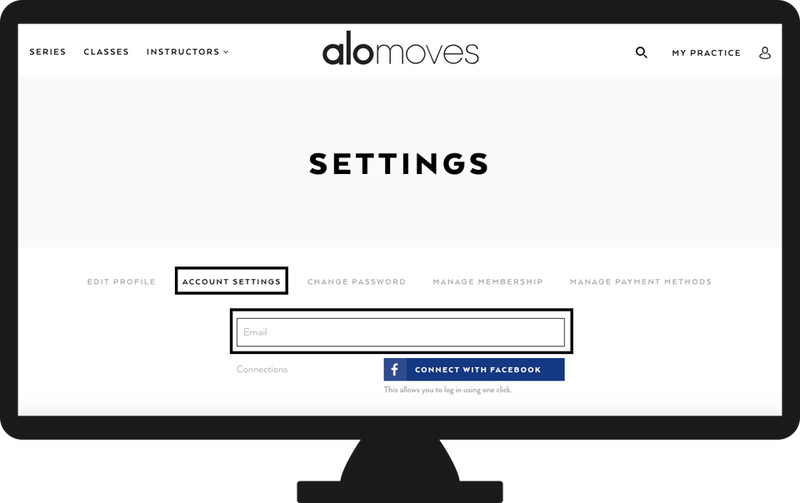 Hover over the "little person" icon in the top right corner of any Alo Moves webpage. Then, click on "Settings". 2. You will be redirected to a webpage that allows you to change a number of your account settings: your name, bio, payment info, and more. Go ahead and click on "Account Settings". This page will show what email address you have logged in with. 1. Open your iOS or Android app and click on the the "Profile" link in notification bar (it looks like three lines on top of each other). It will be located in the top left corner of your screen. 2. Click on "Edit Profile" button at the top of your screen. You will be redirected to a screen that allows you to change some of your account information: you name, location, bio, and more. 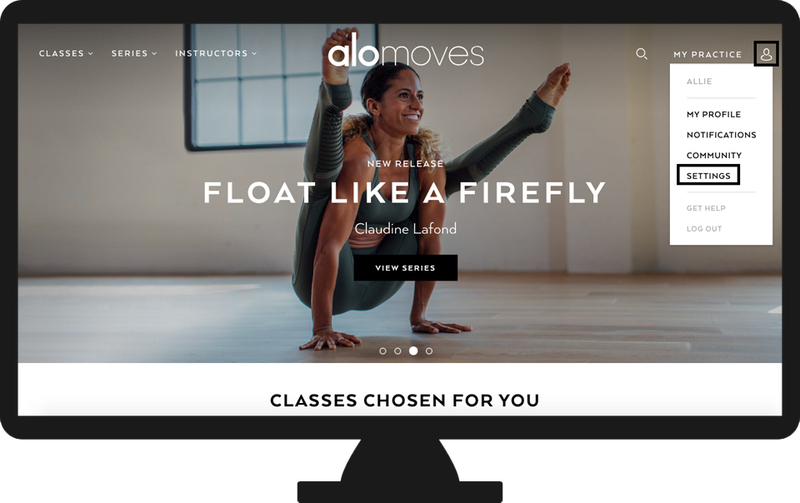 This screen will show what email you are logged in with; take a look at the email address you are logged in with on our website and check that they are the same! 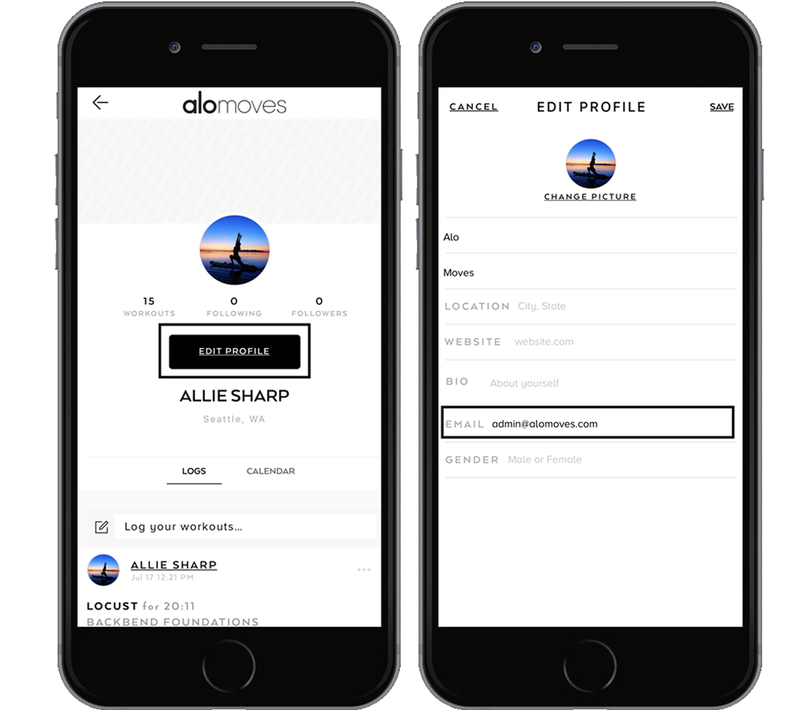 This will ensure that you are saving all your content on one account, and will be able to access all of your workouts with ease. If you need further assistance, go ahead and send us an email here.